On October 3, 2016, Scott Moe walked out of a meeting of provincial and federal environment ministers in Montreal - it was sign of things to come. On October 3, 2016, Scott Moe walked out of a meeting of provincial and federal environment ministers in Montreal as it was in progress. It was sign of things to come. Moe was Saskatchewan's environment minister at the time. He and his cohorts were supposed to be hashing out the details of a national climate plan. Instead, Prime Minister Trudeau announced that provinces needed to adopt a carbon tax or cap and trade system by 2018 or the federal government would impose one. Moe called it a "betrayal," adding "many westerners will see this as 'national energy program 2.0.' "
Leaving the meeting in Montreal was Moe's first big moment in the national spotlight. "It was his issue from the beginning," said Jim Farney, department head of Politics and International Studies at the University of Regina. Two years later Moe — now premier — continues to fight Ottawa's climate plan. It has been his main talking point, from his time as a minister to his campaign for party leadership to now. "They're hitting such pay dirt with the carbon tax stuff they'll keep mining that," Farney said. Moe won the party leadership on Jan. 27, 2018. Moe spoke to a room divided by loyalties to the four candidates he had defeated. His victory speech was aimed more at the federal Liberal government and less at his provincial opposition. "I will fight for this province. I will fight for our economy to ensure that we do not have a carbon tax," said Moe in his speech. "And Justin Trudeau, if you are wondering how far I will go: Just watch me." It won the crowd over. 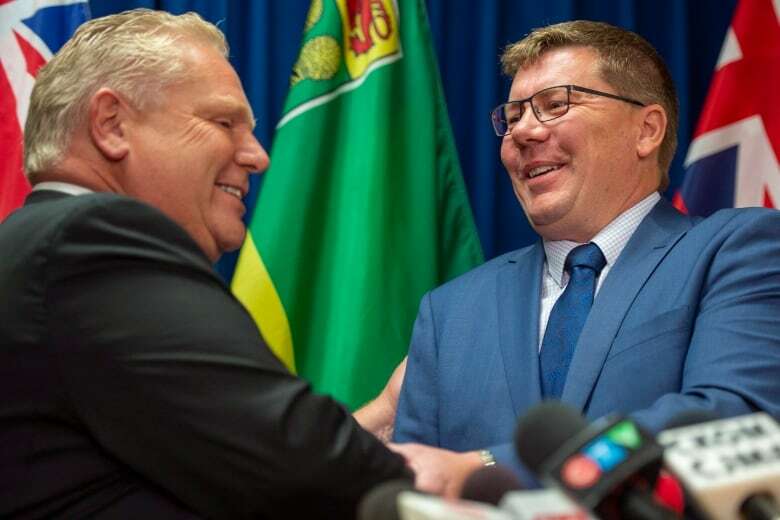 "It's always a good political game for the premier of Saskatchewan or any premier to run against the federal government and that's what Moe has been on from the get go," Farney said. "The thing that Wall was magical at and what Moe, if not magical, is very good at is positioning himself as the common sense of the province." An Angus Reid Institute Poll released in July showed 72 per cent support for Moe's decision to challenge the carbon tax in the courts. Support was even higher in Saskatchewan at 88 per cent. An earlier poll found 56 per cent of Canadians supported a carbon tax plan in the spring of 2015. That has since dropped to 45 per cent, according to Angus Reid Institute. "It all depends on how it's being framed and that's why it's a pretty good issue for both Conservatives and conservative politicians and Liberals and the prime minister," said CBC News Polls Analyst Eric Grenier. "When it's framed as a tax issue that's something that's going to cost people, it doesn't score very well. It's not very popular. But when it's presented as an environmental issue something that's used to encourage people to get off of fossil fuels to fight climate change, then it can score pretty well." The federal government's plan would initially price tax carbon dioxide pollution at $10 per tonne, with the cost rising to $50 by 2022. Ottawa has maintained the tax will be revenue neutral and the money generated will be returned to the provinces and territories. Former Saskatchewan premier Brad Wall was largely alone among premiers opposing Ottawa's carbon pricing plan. As the other provinces signed on to the federal government's Pan-Canadian Framework on Clean Growth and Climate Change, Saskatchewan held out, costing the province $62 million in green energy funding. Saskatchewan had to apply against competition for that money. The potential loss of millions from Ottawa has not caused a crisis of conscience for the government. which maintains the carbon tax would cost the Saskatchewan economy between $2.5 billion and $4 billion because of the economy's reliance on oil, gas, mining and manufacturing. In February, Manitoba signed on to the framework, leaving Saskatchewan as the only province not to have done so. Then came the election of Doug Ford in Ontario, which started a domino-effect of provinces choosing to leave the agreement. Ford's government quickly ended his province's cap and trade system. Ontario also joined Saskatchewan's constitutional reference case challenging Ottawa's jurisdiction over the carbon tax and launched a case of its own. 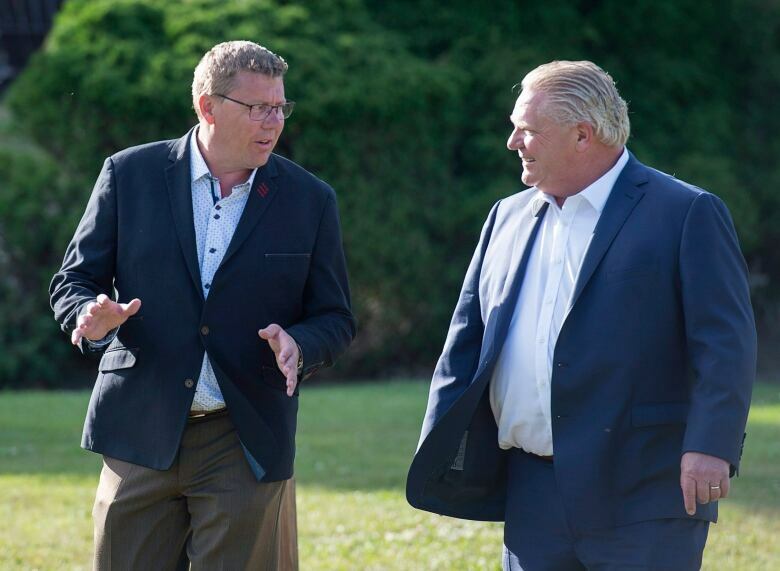 Ford travelled to Saskatoon earlier this month to present a united anti-carbon tax front with Moe. Both lauded Manitoba's Premier Brian Pallister, who announced a week earlier that his province would leave the federal carbon plan. New Brunswick Progressive Conservative Party leader Blaine Higgs campaigned against the carbon tax in his province's recent election, in which his party formed a minority government. Moe, Ford, Higgs and Alberta United Conservative Party leader Jason Kenney have all referred to the federal plan as "the job-killing carbon tax". In August, Alberta also backed out of the federal plan, citing delays in the Trans Mountain pipeline project. Premier Rachel Notley said Alberta will wait until construction gets underway. The province will keep its existing carbon tax but will not increase it each year. "It's an ideological fight," said Cristine de Clercy, associate professor of political science at Western University. "All of those opposed to federal plan are conservative parties. Opposing Ottawa is always popular in the west." Moe is expected to continue his anti-carbon tax crusade as the fall sitting of the legislature gets underway this week. One only has to look at Moe's Twitter activity to get a sense of the message he will present. Moe tweets about the carbon tax approximately once every four days. Moe has rarely given a speech or an interview where he doesn't mention his opposition to the tax. In April, after launching its court case Moe said, "we have a made-in-Saskatchewan plan to reduce emissions and fight climate change, and that plan does not include a job-killing carbon tax on Saskatchewan families." In May, he told the the Saskatoon Chamber of Commerce, "as an economic plan, it's a disaster for Saskatchewan." In July, at the premiers' meetings in New Brunswick, he said it was "an ineffective policy that simply does not reduce emissions,"
In August he told CBC, "this carbon tax policy does not have any substantial environmental outcomes but it does have severe impacts to our economy." 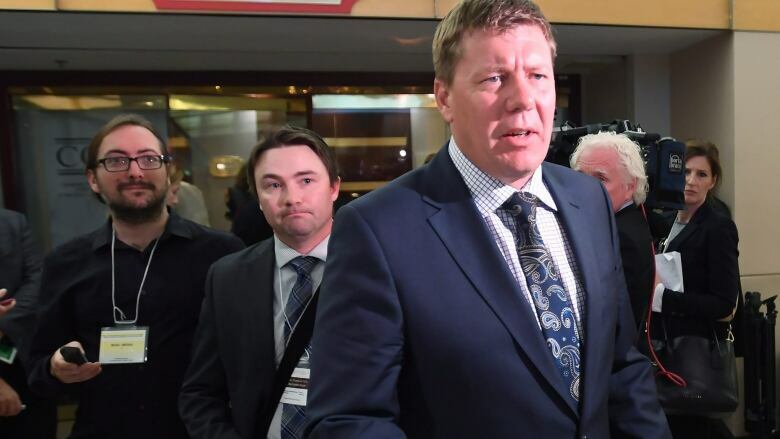 The carbon tax discourse and the back and forth between the Saskatchewan premier and Ottawa likely isn't going anywhere until the court cases are settled. More likely it won't be at least until the province goes to the polls in 2020. "As we get closer to the next election voters think how does this matter to me and if we're still in the same nobody's doing anything they'll find other things that matter to them," Farney said. de Clercy said Moe can't campaign singularly on the carbon tax issue. "I see many other issues where voters will be looking at party leaders and asking for solutions to issues." de Clercy said environmental policy will be a ballot issue. "I expect the question of how to preserve, maintain quality of environment will be an election issue."